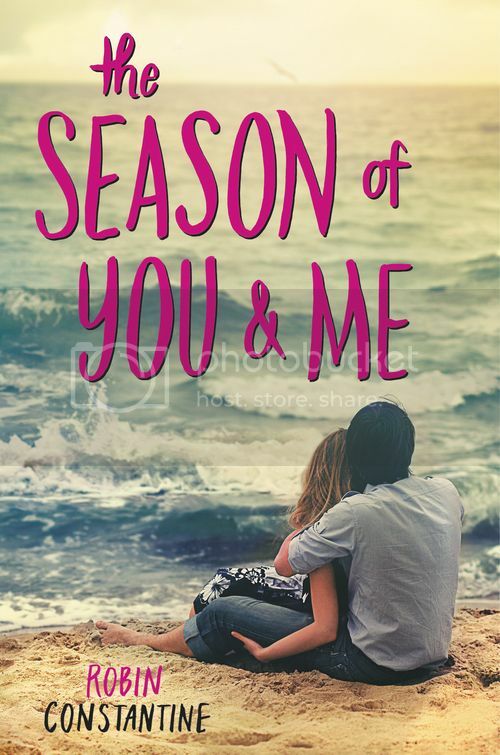 I was super excited to get my hands on The Season of You & Me by Robin Constantine, first because it sounded like a perfect summer-time read, and second because I read a few of Robin's books last year, and completely fell in love with them. I'm thrilled to add The Season of You & Me to the list as well, as I really, really enjoyed this book!! I loved the two main characters in The Season of You & Me, both Cassidy and Bryan were really great characters, and I enjoyed reading the story from their alternate points of view. Cassidy is recovering from a breakup with her boyfriend, and Bryan is adjusting to a tragic effect that changed his life forever. He is the boy who could make her forget what she left behind, and she is the girl who sees him for what he really is, and not just the boy in the wheelchair. Together, they make a wonderful pair, and I really enjoyed their story. The storyline for the book was super sweet, although it did have some serious moments also, and I did tear up a time or two as well. This book gave me so many emotions. Also, I loved the summer theme to it. I'm definitely ready for summer to be here already after reading this book! Overall; If you're already a fan of Robin Constantine's books, you're definitely going to love The Season of You & Me. This book gave me all the feels, and it's really a perfect summer read. Check it out, and I hope you enjoy it as much as I did!! I wasn't a fan of her debut, but I've been seeing this one around. Maybe I'll give it a try! Lovely review! This sounds like a wonderful summer read, which I am all about, since I just started my summer vacation. Adding this to my TBR. Thanks for the review!